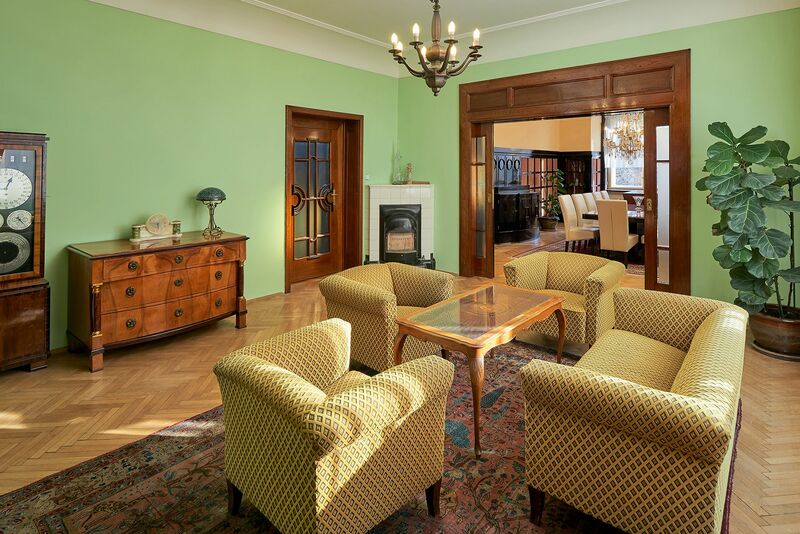 A magnificent three-story villa built in 1924 in rondo cubist style with a sensitively restored interior, contemporary period furnishings and a modern, air-conditioned apartment in the attic is situated in one of the most prestigious residential areas in Bubenec. The villa surrounded by a well-kept garden offers a generous and dignified family home or a combination of residential and business premises. 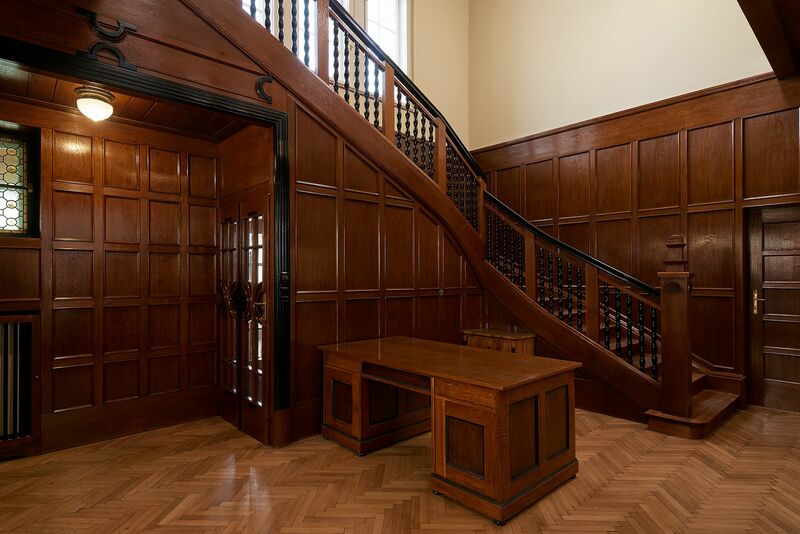 The ground floor with the majestic staircase hall consists of two main living rooms, a kitchen, a winter garden with access to the terrace, walk-in wardrobes and toilets. The first floor offers 4 large bedrooms, a bathroom and a walk-in closet. 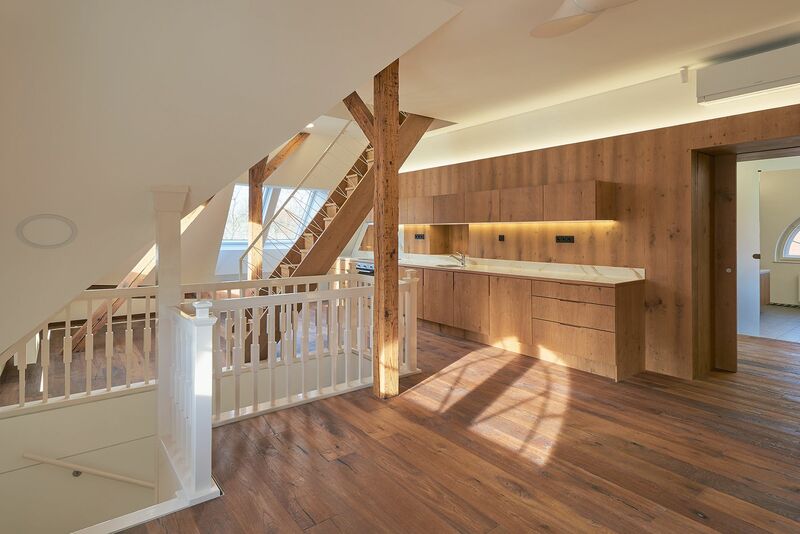 In the attic, there is a newly created modern duplex apartment with a living room and a kitchen area, 2 bedrooms, a bathroom and a studio on the top floor. 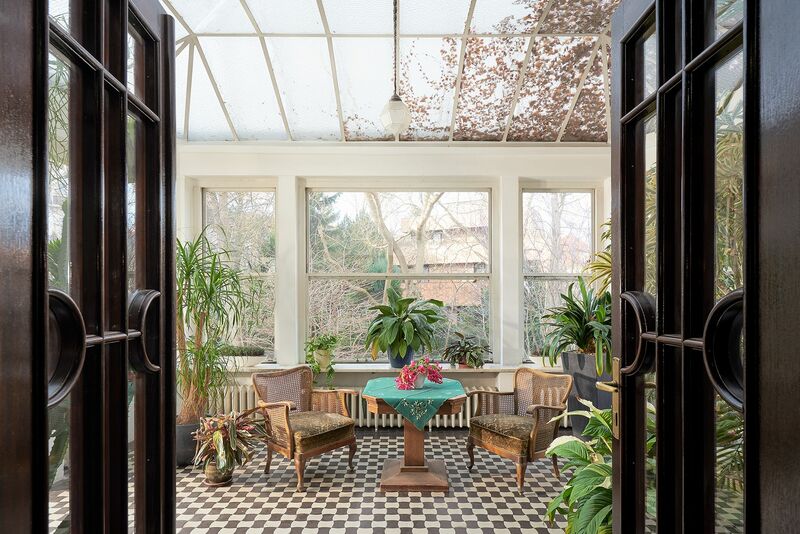 There is also a basement with a separate entrance from the garden. The apartment includes 4 bedrooms, a living room with a French window to the garden, a kitchen, 2 bathrooms, a utility room and cellar storage. The villa is after complete reconstruction (10 years ago), which respected the original design of architect Bedrich Bendelmayer. All the restored equipment remains in the interior. The kitchen and bathrooms are modern. Attic apartment after the complete renovation in 2017, air-conditioned, decorated beams, wooden plank floor, door with concealed hinges, Velux skylights and fully equipped kitchens with Philco appliances offers comfortable modern living with beautiful views, for example, a Trojan vineyard. Central heating of the entire building by a gas boiler. Parking is in an underground garage for 4 cars, another 5 parking spaces on the land. 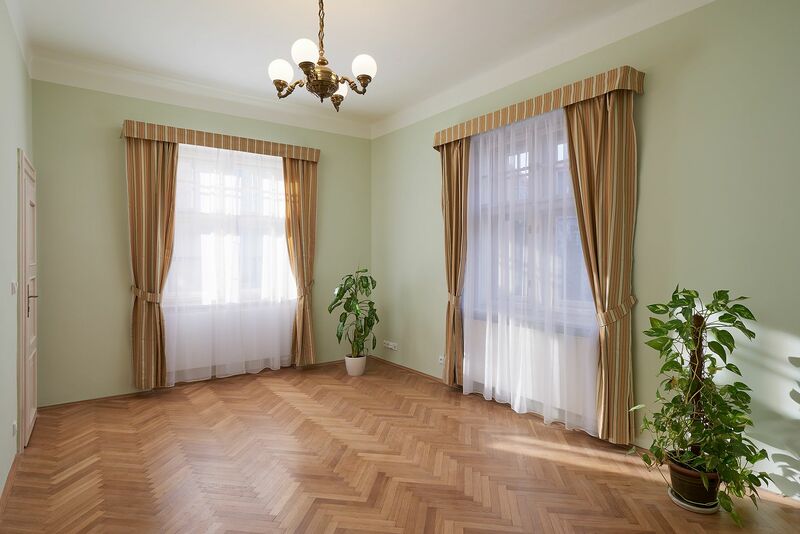 The location is a prestigious diplomatic quarter, just a few steps from Stromovka Park. Nearby are all civic amenities, including private and state-owned kindergarten and elementary schools, as well as restaurants, cafes and grocery stores. The metro station and tram stop Hradčanská are within walking distance. The location is easily accessible by car thanks to the nearby exit of the Blanka tunnel complex. Built-up area 291 m2, garden 709 m2, plot 1000 m2. Basement 201 m2, ground floor 188 m2, 1st floor 125 m2, attic 140 m2. Total area of the interior 654 m2.